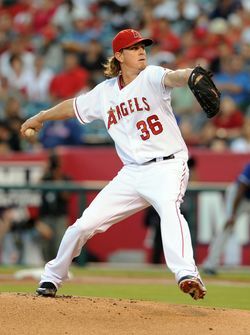 The Angels have signed ace Jered Weaver to a five-year, $85MM contract extension, according to Jon Heyman of SI.com (via Twitter). The deal includes a full no-trade clause, according to Tim Brown of Yahoo! Sports (via Twitter), and various "significant" bonuses for winning the Cy Young and MVP awards and for earning All-Star berths, writes Scott Miller of CBSSports.com. Weaver, a Boras Corporation client, as MLBTR's Agency Database shows, was slated to hit free agency after 2012, so this extension buys out his final year of arbitration eligibility and four years of free agency at an average annual salary of $17.5MM. He earns $7.37MM in 2011 after losing an arbitration hearing with the Halos prior to this season. Tim Dierkes explained in May that Weaver could have earned as much as $15MM in 2012 after another round of arbitration. Weaver's deal is similar in terms to the ones Felix Hernandez signed with the Mariners (five years, $78MM) and Justin Verlander (five years, $80MM) inked with the Tigers prior to the 2010 season, as noted by Heyman (Twitter). The difference, though, is that both Hernandez and Verlander had two remaining years of arbitration eligibility when they signed, whereas Weaver is nearer to free agency with only one remaining. The contract is the largest for a pitcher in Angels history, according to Bill Shaikin of the Los Angeles Times (via Twitter). As Jeff Passan of Yahoo! notes, the projected class of free-agent starters in 2013 is deep, headlined by Cole Hamels, Zack Greinke, Matt Cain, Shaun Marcum, John Danks, Anibal Sanchez and Francisco Liriano (Twitter link). So, perhaps Weaver and his representatives were motivated to get a jump on that market, as Boras Corporation clients typically go to free agency. Buster Olney of ESPN.com thinks Weaver could have fetched a nine-figure contract on the open market after 2012 (Twitter link). The 28-year-old right-hander, the No. 12 overall pick in the 2004 draft, is in the midst of a career year, posting a 2.10 ERA (178 ERA+), 7.6 K/9 and 2.0 BB/9. 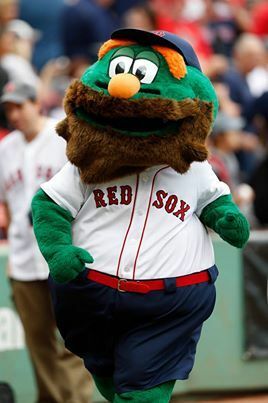 He is among the favorites to win the American League Cy Young Award, along with Verlander and CC Sabathia of the Yankees. The deal will be announced by the club on Tuesday. disgruntled yankees fan, had he gone there it would have been the greatest thing since sliced bread..
Great job by the angels. Weaver is one of the top pitchers in the game and he is barely entering his prime. Oh and don’t you love how all of the comments on this site somehow turn into something related to the Yankees when they have no business being in the conversation? A patently ridiculous statement. Z has a consistent history of problems, even going so far as to get into fights with teammates on at least two occasions, in the clubhouse no less. He has consistently shown an inability to harness his emotions into a positive force, is erratic on and off the mound, calls out his teammates on and off the field yet does not take into account his own blunders. And on top of that he expects that simply apologizing to the fans again and again grants him leave to act like a buffoon all over again. But of course you knew all this and that is why you are comparing Weaver to Z.
Yeah………Curtis Granderson for junk (Kennedy was junk at the time) was a pretty good deal…….and there’s plenty of others. Dude knows what he’s doing. “but neither is remotely “close” to the Yankees” That’s like 1 or 2 players! That is close! $40Mil? You could fund an entire MLB team with that! Well…..except when you count last year (2010) when he was 5th in the Cy Young voting, of course. So, that would make 2 consecutive years of Cy Young performance, would it not? Also, compare Weaver’s ERA+, WHIP, H/9, SO/9, BB/9, to Sabathia’s and you’ll see similar metrics, especially if you compare Sabathia’s year 23 – 28 to Weaver’s. The funniest part about your response was that you called Weaver a 3.3 – 3.5 kinda guy (Weaver’s career ERA is 3.30, Sabathia’s is 3.52). I’m not going to pronounce one player better than the other, but your claim to have “slam(med) watever pityful arguement” the poster above you made seems to be a bit premature. Thank God you’re statistically inclined, though, or I’d be afraid you wouldn’t understand my post. 2 different divisions with different ballparks = different numbers. Gotta take all into factor. Ballparks like Camden, Fenway, Yanks, Texas naturally produce greater offensive numbers. Oakland, Seattle, LA, San Diego are pitchers parks. So I think you will naturally build your team around what works best there. To be completely honest, My fantasy team is loaded with Yanks, Sox and Rangers… Even Orioles… Though my pitchers are usually from the West. AL East wRC+ (which is league and park adjusted) is 107, AL West wRC+ is 94. O’s and Rays wRC+ is 99, A’s and Mariners wRC+ is 85. And I don’t know what San Diego’s park has to do with it, they aren’t in the AL West. Yeah, I wasn’t saying that San Diego was in the AL west or that Texas is in the AL east for that matter… Basically saying that I think teams that have hitters parks tend to build around that, and pitchers parks tend to build around that. If I were a great hitter, I’d want to play in a park that will help me be one of the greatest’s. If I’m a great pitcher I might avoid signing with Colorado, Baltimore, Texas, etc. I’m definitely not gonna argue that the East doesn’t have the best Offense. Clearly they do. Ok, I get what you’re saying. I don’t really think it has anything to do with what we were discussing though. We were talking about Sabathia putting up those numbers being more impressive than Weaver doing it because of the teams each pitcher has to face most often. People were then trying to make the case that the O’s and the Rays weren’t any better offensively than the A’s and the Mariners, which isn’t true. Clearly if a pitcher is putting up the same (or better actually) numbers pitching in the AL East it is more impressive than the pitcher doing it in the AL West. I saw part of Jersey Shore once. That was more than enough for me. Unfortunately I have to drive through Jersey every weekend. Not sure what you mean by the bandwagon comment…lol.